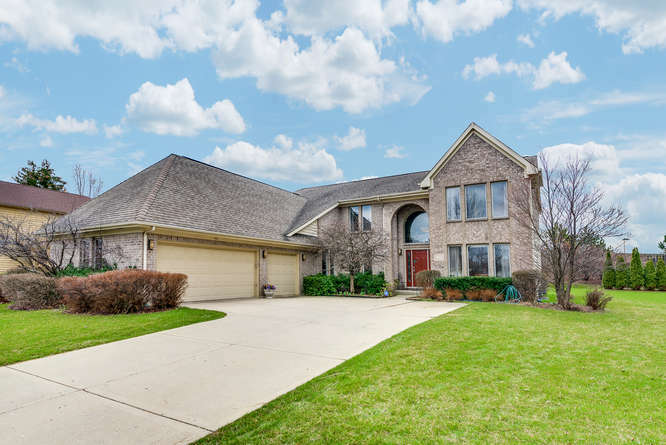 Immaculate original builders’ model home located in District 96 and Stevenson School districts has it all – 3,454 square feet open floor plan, 6 bedrooms, 3 full bathrooms and 2 half bathrooms and an in-law suite on the main level. 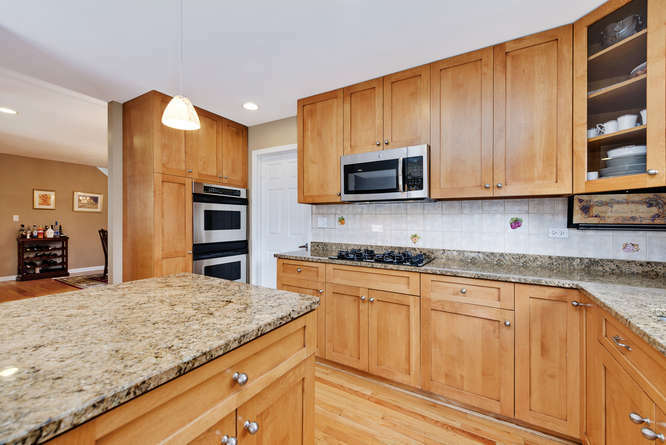 Amazing kitchen features all stainless steel appliances, 42″ cabinets and an abundance of granite countertop space. 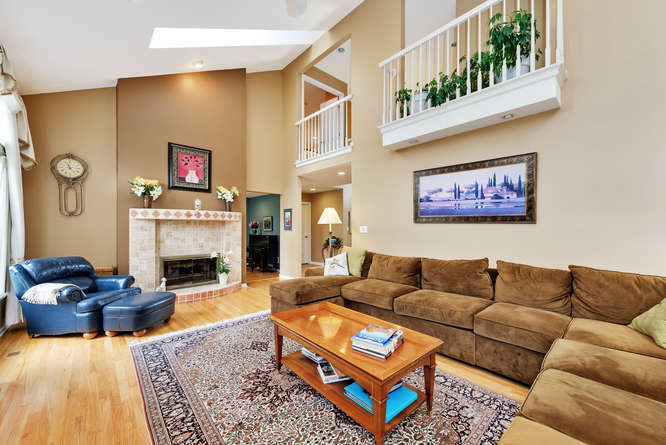 Spectacular and light filled 2 story family room with vaulted ceilings, 2 sky lights, 3 balcony overlook areas, a built in wood entertainment center and a 2 sided fireplace shared with the sunken living room. The second level features 4 spacious bedrooms including the master suite with a huge walk in closet and a master bathroom with double vanity, separate shower and Jacuzzi tub. The lower level offers an expansive recreation room along with an enormous entertaining room, a 6th bedroom and a half bathroom. Large 3 car garage is nicely sealed and provides plenty of storage space. 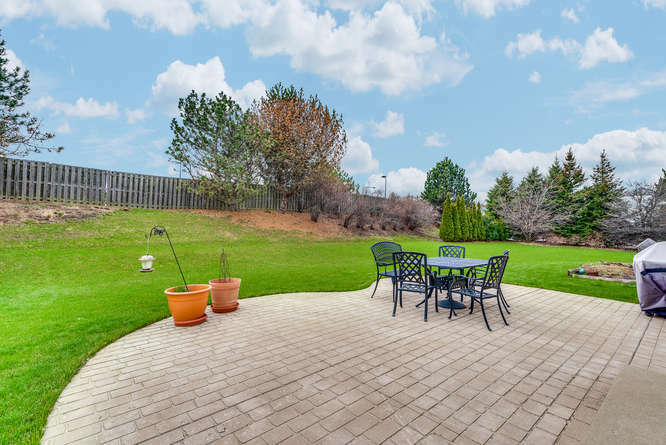 Professionally landscaped exterior with private backyard and large paver patio and ready for you to move in! 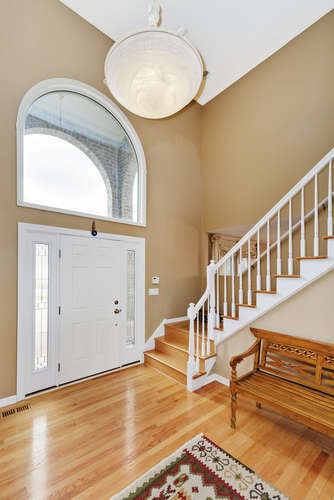 Dramatic 2 story entry way into this bright open home. This is the centerpiece of this fabulous home. 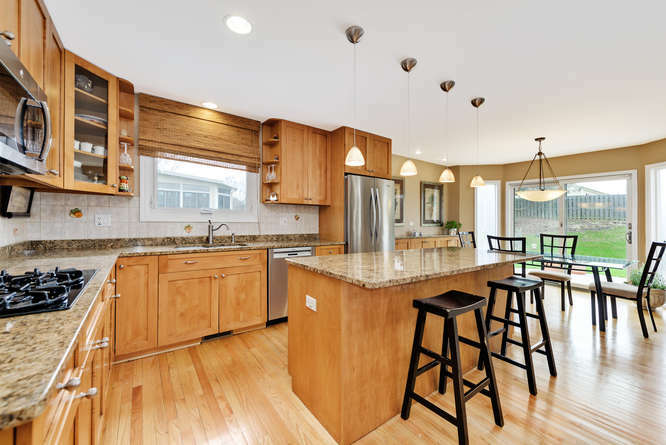 From this angle, you can see into the kitchen, the built in wood cabinet for your entertainment center and the large newer windows with exposure to the large, private backyard. From the kitchen, you see the fireplace that is shared with the living room and two of the three overlook areas from the 2nd floor. 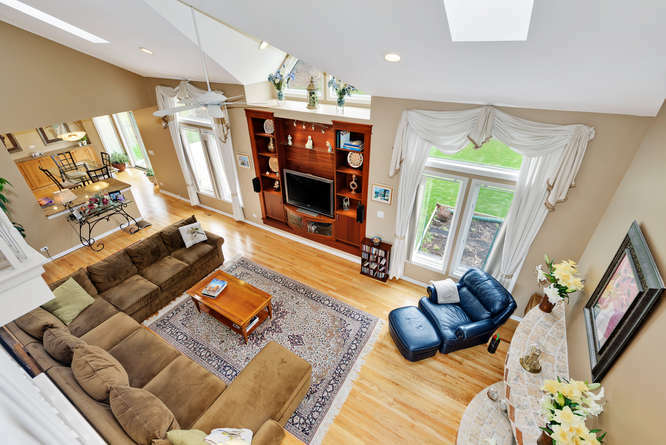 This 2 story room features a vaulted ceiling, a ceiling fan and 2 skylights. From the 2nd floor overlook, the size and openness of this great room come to life. The majority of the main level features gleaming hardwood floors. The large gourmet kitchen features all high end stainless steel appliances, 42′ wood cabinets, a large island with granite countertop. This amazing kitchen also features a large pantry and a tile backsplash. 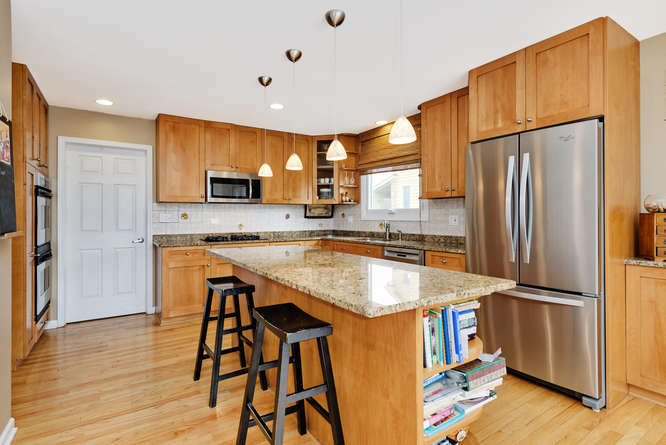 Adjacent to both the dining and family room make this the perfect kitchen for entertaining. The large eating area provides tons of natural light from the sliding glass door to the large private backyard. The living room is sunken down two steps below the rest of the main level. 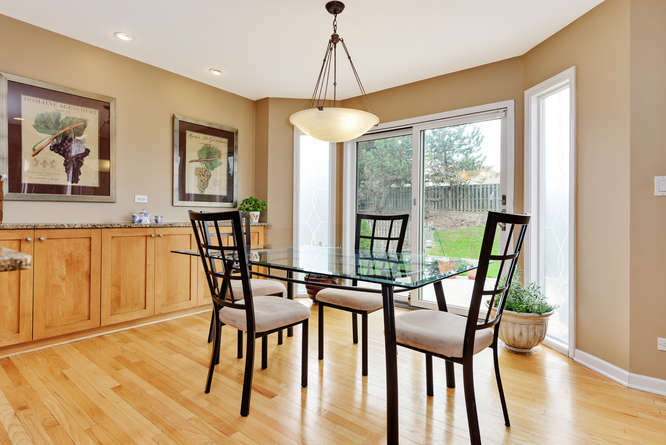 You can see the openness of the home as the kitchen, family and dining room are all within sight of this bright room. What a delightful room to relax by the fireplace. 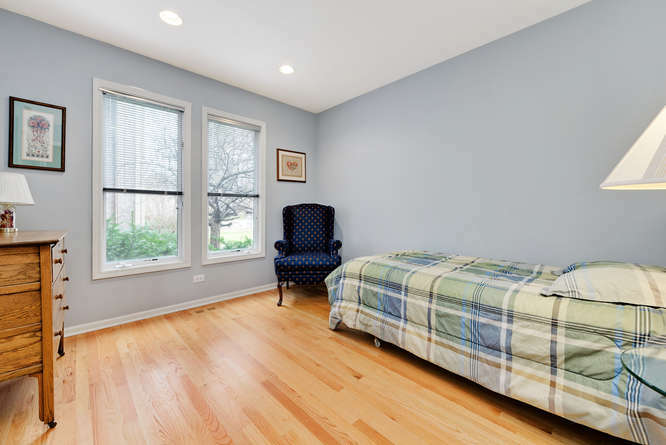 Bright, spacious room with exposure to the backyard also features gorgeous hardwood floors. 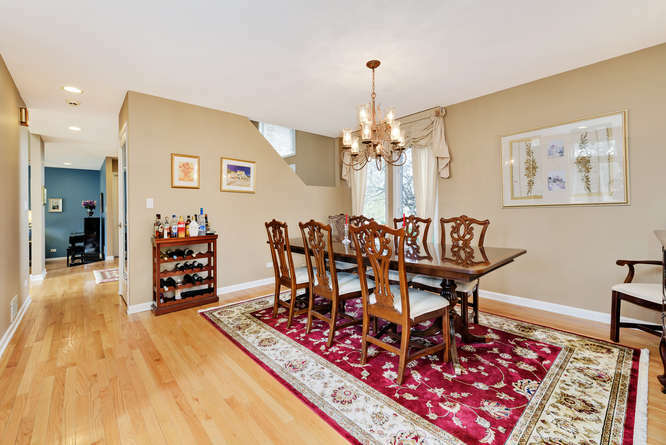 Huge dining room, adjacent to the kitchen will make all of your celebrations a joy! Private functional study located right off the foyer. This room offers great lighting and plenty of built in shelves and cabinets. Expansive and comfortable master suite offers a large walk in closet and private bathroom, a great space to unwind after a full day. 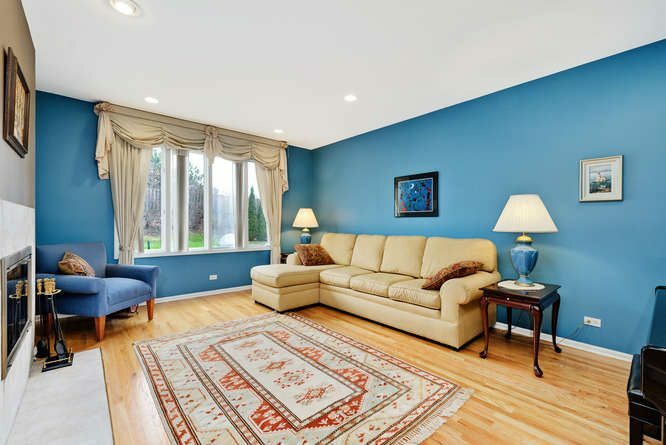 As with all four of the upstairs bedrooms, you will find newer, plush carpets. 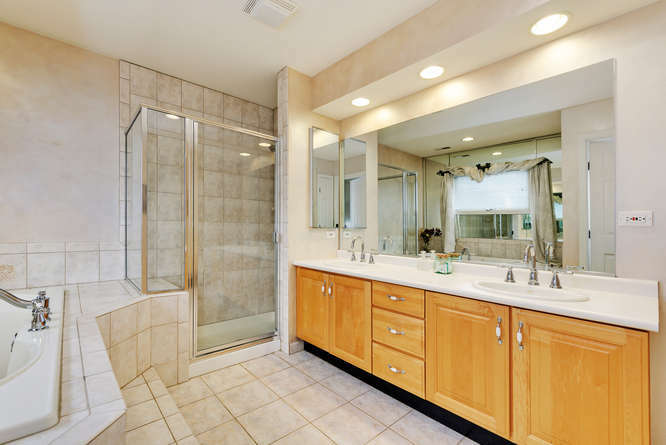 The master bathroom features a large double vanity and neutral tile throughout. 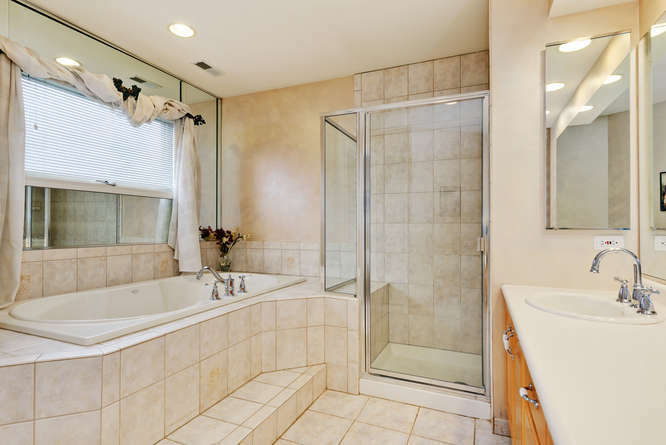 You can see the separate walk in shower and large Jacuzzi tub, a great private place to relax. This In-law suite on the main floor is a real bonus. It sits adjacent to its own full bathroom and offers the ultimate flexibility for your overnight guests. 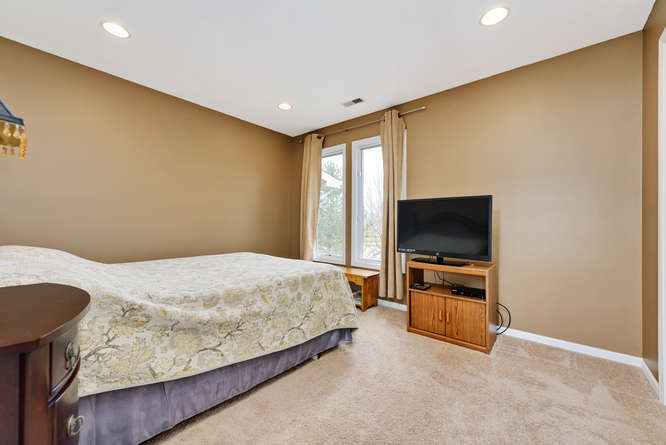 This spacious bedroom features newer plush carpet, recessed lighting and good closet space. A good size room with plenty of space for a large bedroom set and features newer carpet, recessed lighting and good closet space. This bedroom also features newer carpet, recessed lighting and good closet space. 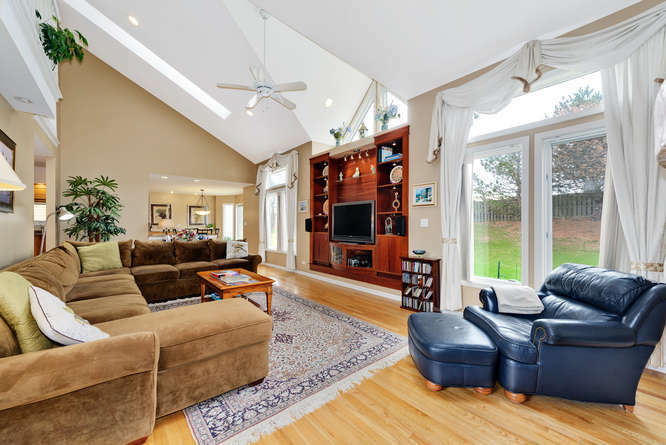 Large window allows tons of natural light to stream in. 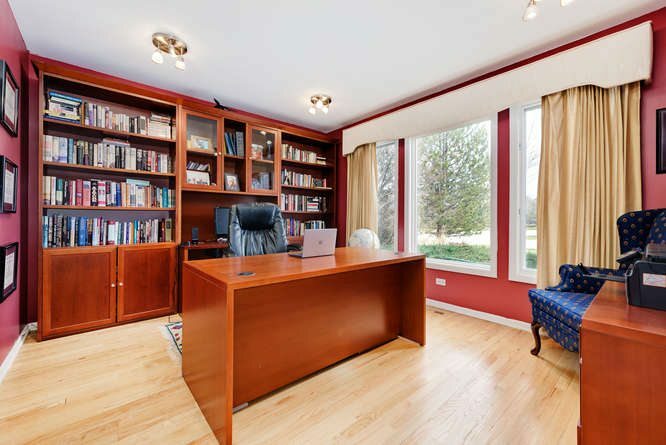 This enormous room is the highlight of the full finished basement. 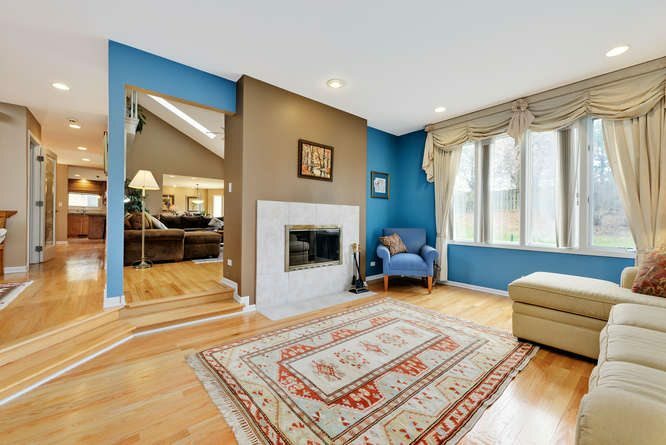 This versatile room offers carpeted floor, a counter with a sink and surround sound speakers. The full basement also provides a 19 x 10 bedroom and half bathroom. 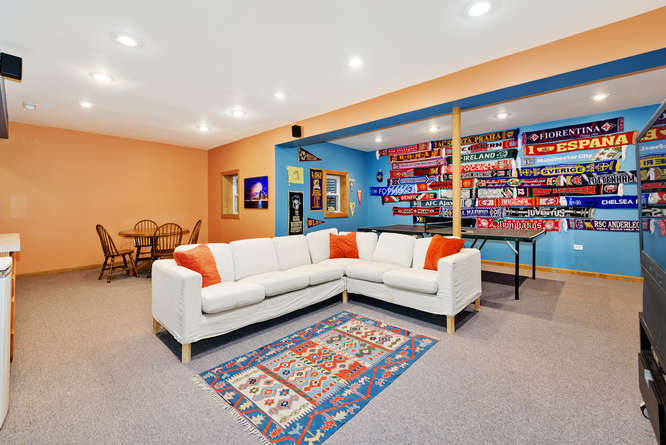 Another sprawling bonus room in the finished basement with plenty of space to serve many purposes – a “man cave” or a study room for the kids are a couple of possibilities. 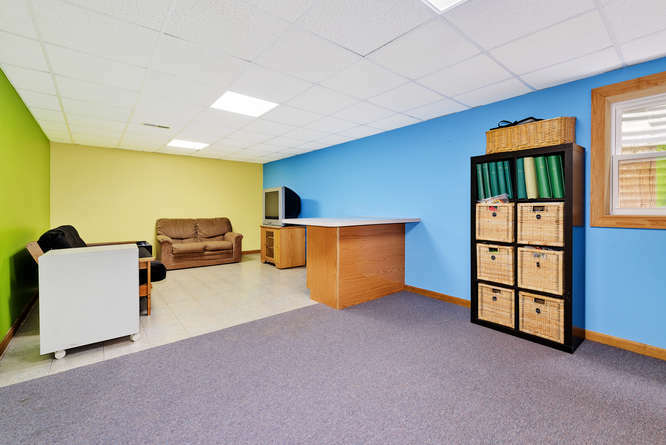 The basement also offers two large storage areas. 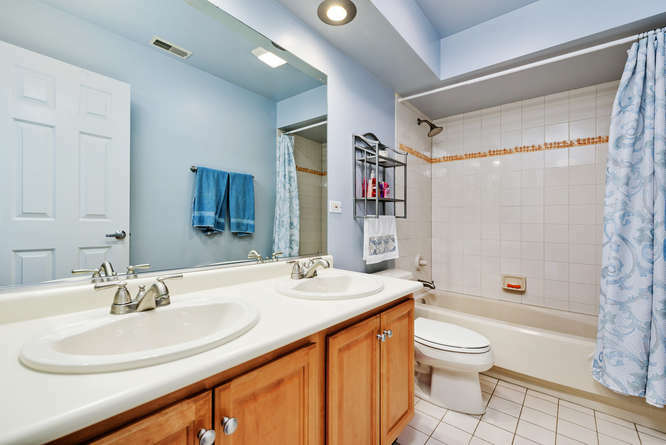 This is the second full bathroom on the 2nd floor with a double vanity, ceramic tile floor and a shower/tub. 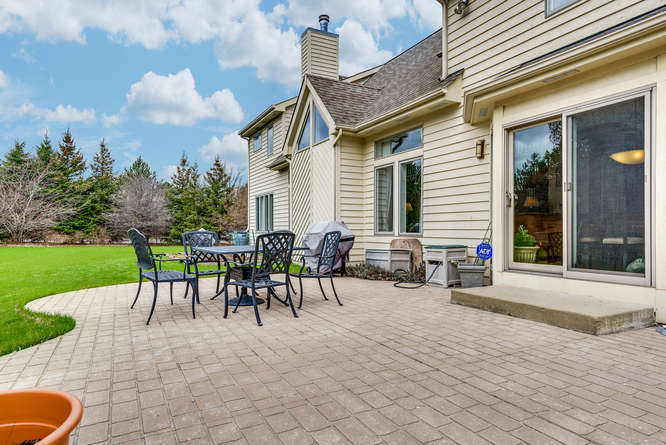 Splendid paver patio to entertain small or large gatherings tops off this amazing home. 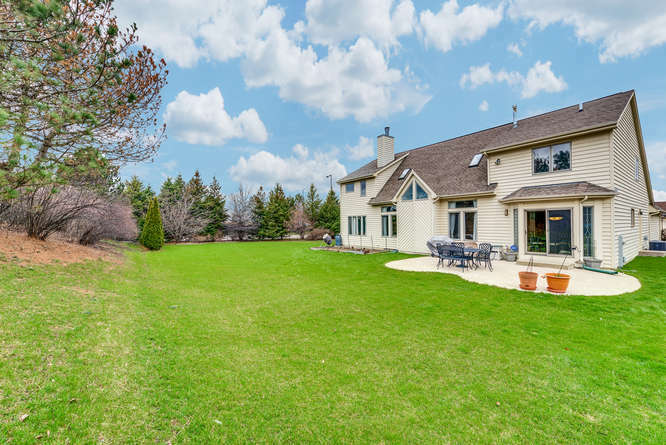 Private backyard is professionally landscaped offering endless opportunities for your family and guests.